The flood of new metal continues unabated. Since yesterday’s round-up, I’ve accumulated more than a dozen new tracks (not to mention newly released EPs and albums) that I’m itching to hear, on top of all the others I didn’t have room to include yesterday. In an effort to keep at least my nostrils above water, I’ve picked three new ones (two of which come with videos) to quickly launch at your heads today. I don’t know that I would go so far as to call the new song legendary, but it’s a whole hell of a lot of HM-2-powered fun — a chugging, galloping, skull-pounding mauler accented by freakish leads and an ear-incinerating solo. The vocals are of course great. Red meat for the faithful…. The Arrow of Satan Is Drawn (that’s the name of the album for your rock dwellers) will be released on October 26th by Peaceville. Even if you don’t live under a rock it’s possible you don’t know about Slaegt. As an introductory primer, you might want to explore this quartet of NCS posts, which includes an interview of vocalist/rhythm guitarist Oskar J. Frederiksen. Or you could just dive into this next song. The song is “Perfume and Steel“, off this Danish band’s new album, The Wheel. “Epic blackened heavy metal” is what the PR materials are using now in an effort to encompass Slaegt’s hard-to-pin-down sounds. This song in particular is a fire-breathing, blood-pumping thrasher… with a (perfumed) twist in the middle… and evidence of both blackening and epicness thereafter, plus a hell-hot guitar solo. Welcome back, dudes. The Wheel will be released on October 5th by Ván Records. 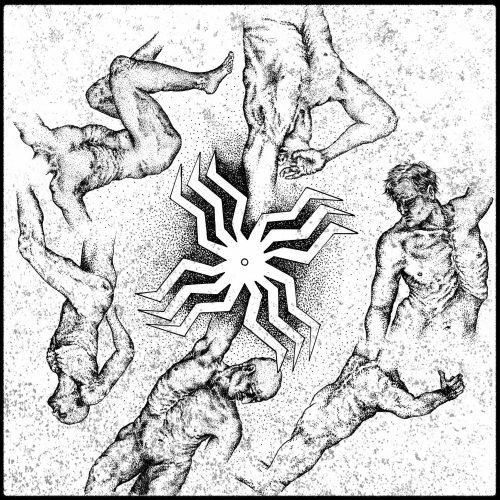 Entropia might also be an unfamiliar name for a few of you, and once again I can point you to a quartet of previous NCS posts to provide a bit of background, and evidence of why I try to pay close attention to this Polish band’s latest maneuverings. And at this point the latest is a new album named Vacuum, which was allegedly recorded on Planet Earth but I have my doubts. The first single, “Astral“, does have its glimmering, off-planet aspects, in which the mysterious music of the spheres can be heard. But the song is also even more extravagantly glorious… and bruising… exploding with the ecstasies of chaos, spearing the mind with peals of shining sound, battering the skull with full-throttle drumming and piston-driven bass, and in very short order yanking you completely outside yourself. What a wonderful introduction to the new record. 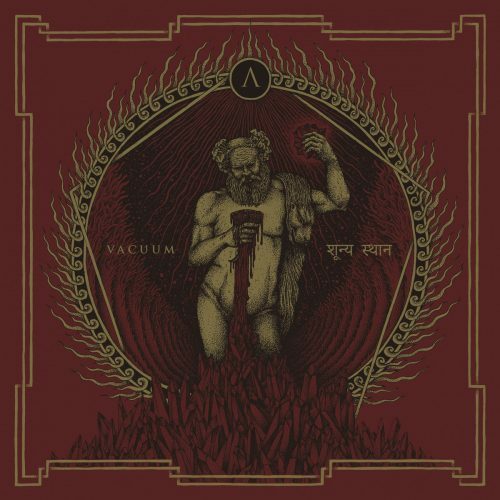 Vacuum will be released digitally and on CD and vinyl by Arachnophobia Records. The release date is September 28. The cover art is by Kuba Sokolski. A song from the album made available for streaming it not yet a single. See Behemoth’s God=Dog is a single = it has separate release, Wolves ov Siberia is not a single, it’s just a track from the album available to listen to before album releae. A single as a separate release available for purchase was certainly the original meaning and still a correct one, but no longer the exclusive one. For example, “airplay singles”, as recognized by Billboard and other sources, are individual tracks released for radio play without being available for separate purchase, and since 2013 the RIAA has incorporated on-demand streams of individual tracks into their certification of digital singles. And a lot of PR people in metal and elsewhere now often use the term “single” in their press releases simply to refer to advance tracks released for streaming. I still preffer precise definitions of “single” and “track”. And as for radios, they usually get promo singles that are not in regular retail. Again, charted song is not yet a single. Tons of discography articles have serate section for non-single charting songs. I’m not going to push my argument any further. I grew up at a time when “single” had the meaning you’re advocating, and it’s still the natural one for me. I’m just saying that the meaning is no longer as rigid as you say. Mainly, I just get tired of using the same words for track streams made public in advance of record releases, and occasionally drift into the use of “single”, especially when the press releases I receive use that word. This is how the words lose their meaning. Language is changing, not always for the better, maybe easier and more fluent with population at the time, but some words and meanings become lost. I’ll stay with proper nomenclature. Won’t someone PLEASE think of the children!?! That Baest album really got me amped for new Bloodbath.